During the 6th Century BC, the Persian Empire stretched from Iran to India. 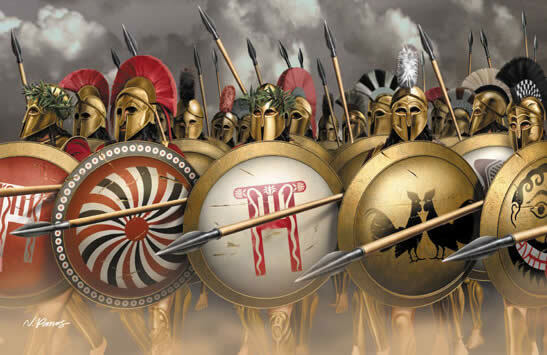 When the Ionian city-states in Turkey revolted, it began the Greco-Persian War (499-479 BC) that changed history. The Persians crushed the revolt and decided to punish Athens for interfering. (Ionia was home to Greek colonies). In 490 BC, they landed in Marathon. Despite being outnumbered 2:1, the Athenians won. 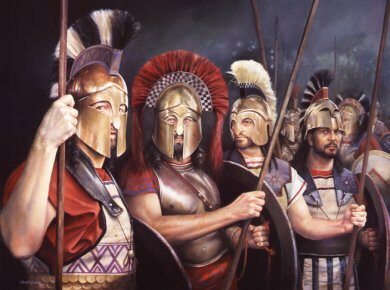 Persia returned 10 years later under Xerxes I. Athens knew it couldn't fend off the Persians, so it contacted Sparta and 31 other smaller city-states to form the Hellenic League... with Sparta as its leader. 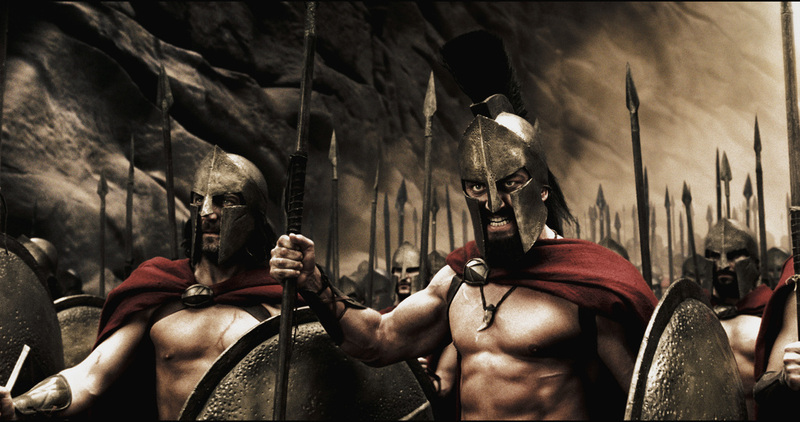 The advancing Persians met up with a small Greek army led by 300 Spartans under King Leonidas at a narrow pass called Thermopylae. In three days, the Persians won but suffered 25,000 killed. 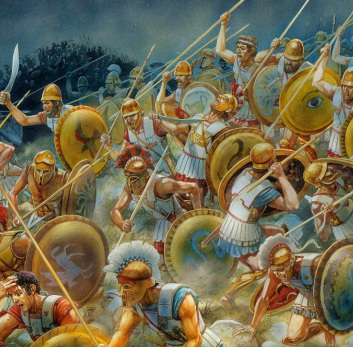 Despite these heroics, the Persians reached Athens and destroyed it. But when Xerxes lost at Salamis (where 700 Persian ships were defeated by 300 Greek triremes) and at Plataea (where 99 out of every 100 Persians were killed), Persia called off the invasion. Never again did Persia send an army or navy to Greece. The Greeks were free. Is anyone else creeped out by the shields with the giant eyes? 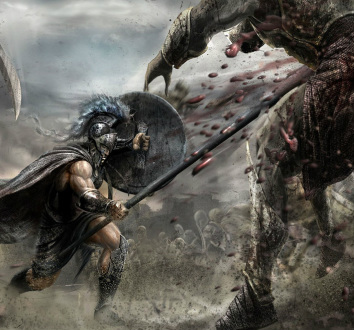 Before the Battle of Marathon, legend says the Athenians sent Philippides (or Pheidippides) running to Sparta to ask for help. He ran 140 miles in 36 hours but found Sparta at a festival and unavailable. 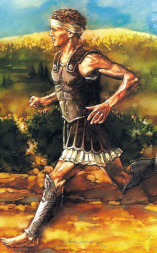 He ran 140 miles back, fought the battle, and then ran 25 miles to Athens. Reaching Athens in three hours, he said, "Nike!" and died. "Nike" is Greek for "Victory is ours!" 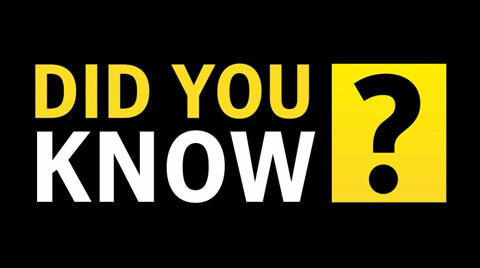 In Athens in 1896, the Olympics introduced a "marathon" of 24.85 miles. In England in 1908, it became 26.2 miles so the race could finish in front of the king's throne. 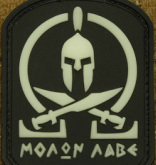 When the Spartans were told to lay down their weapons at the Battle of Thermopylae, Leonidas yelled "Molon Labe!" 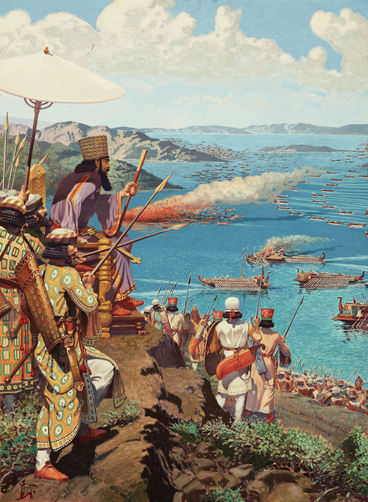 Xerxes had his throne placed on a hill where he could watch the Battle of Salamis. Because the Persian defeat at Salamis preserved Greek culture, historians call it "the battle that saved Western Civilization".